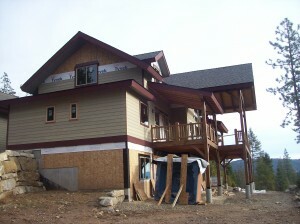 This home had a unique set of parameters surrounding it’s construction. This was a complex collaboration of several different players. These teams were comprised of ourselves, a timber framer, and the homeowner. The home owner functioned as general contractor, handling the oversight, material choices and sequestering. “Fall Creek Timber” out of Montana, both designed and handled all the integrated timber works. 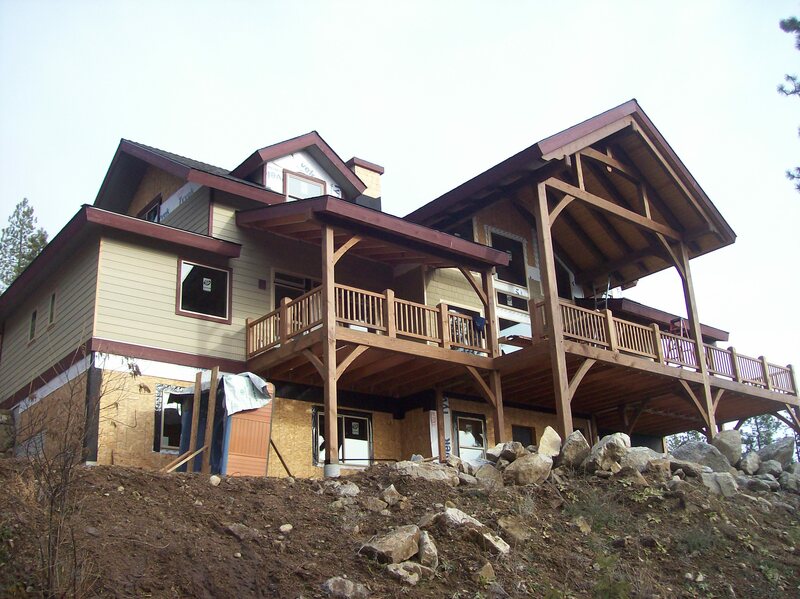 Our team detailed all the foundation, structural framing, proper openings for door and windows, decks, integration and tie in of SIP’s panels, roofing, and siding. From inception the combination of timber framing and conventional framing, created a need for a through approach to construction sequencing. 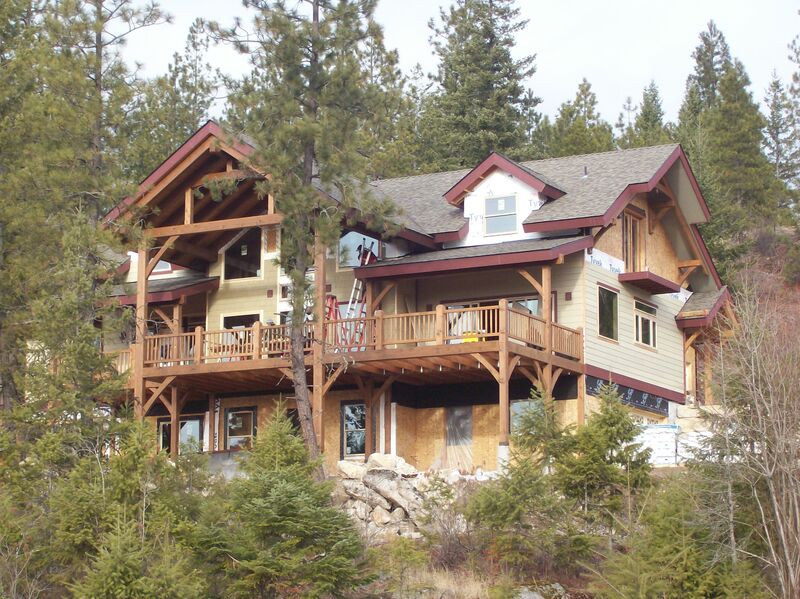 A homeowner with as much involvement, and a host of moving parts involving budget and materials; simply added an additional degree of effort; on all involved parties. The house is situated on a spectacular hillside w/ terrific exposure, with river and mountain views. These same wonderful mountain view lots come complete with their share of steep tight accesses, adding thrill to delivery of beam sets and materials. 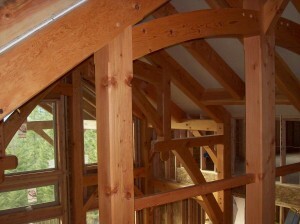 The bulk of “Fall Creek Timber’s” beam work is the performing load carrying superstructure. These beautiful surfaced timbers were prefinished and boom trucked into place. One of our many tasks was to ready our subfloor for the timber column installations. 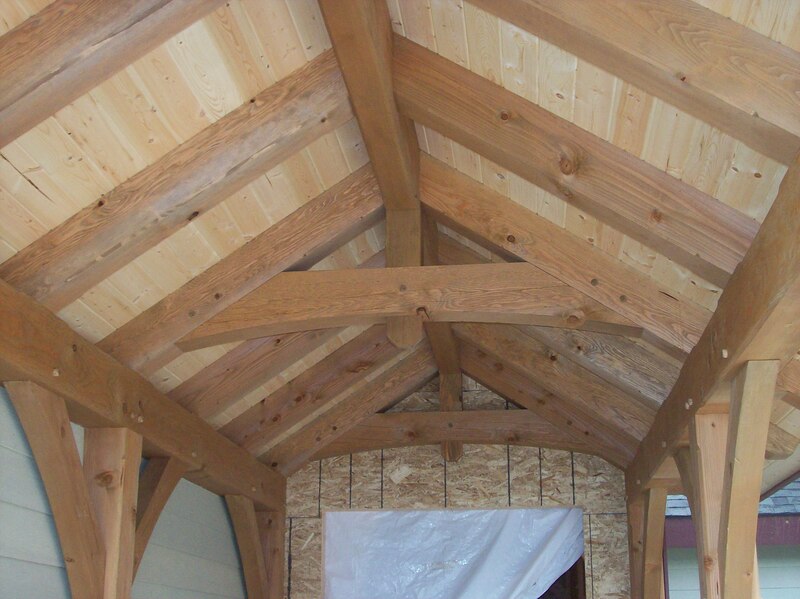 Once the beam “bents” were placed we teamed with installing the roof system’s “Structural Insulated Panels” (SIP’s). 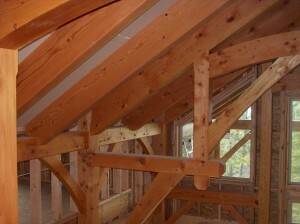 With the timbers all in place the subfloor was then ready for all the conventional framing, and defining of rooms and spaces. 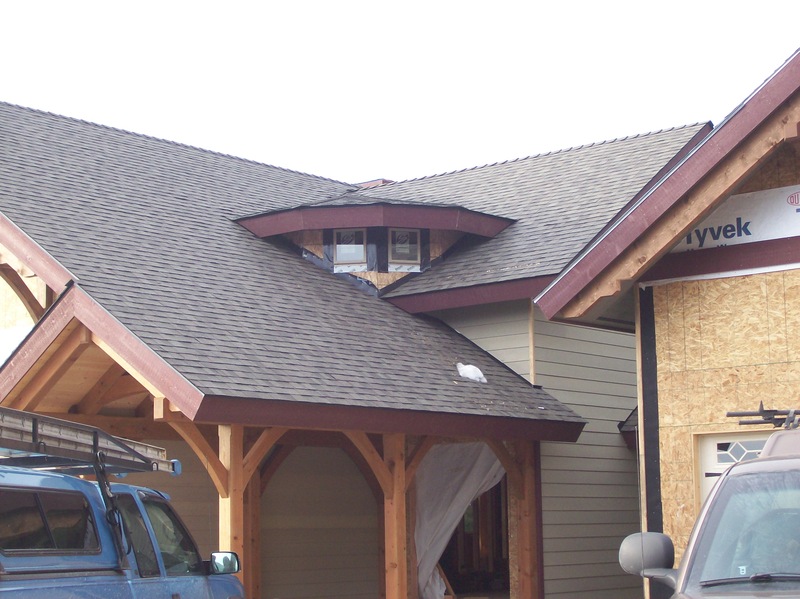 A seamless marriage between the SIP’s and site cut rafters, requiring a like plane for ceiling material and roofing, contributed to this projects complexity and beauty. With cement based “Hardi” siding and cedar soffiting, the exterior shell has a lasting painted cladding, coupled with a degree of fire resistance, due to the siding cement composition. Fiberglass composition shingle roofing, brings the entire combination of mediums under a seamless uniform roof. The upper tier garage is attached to the house with an enclosed breezeway and the daylight basement, also has a single garage door for storage.